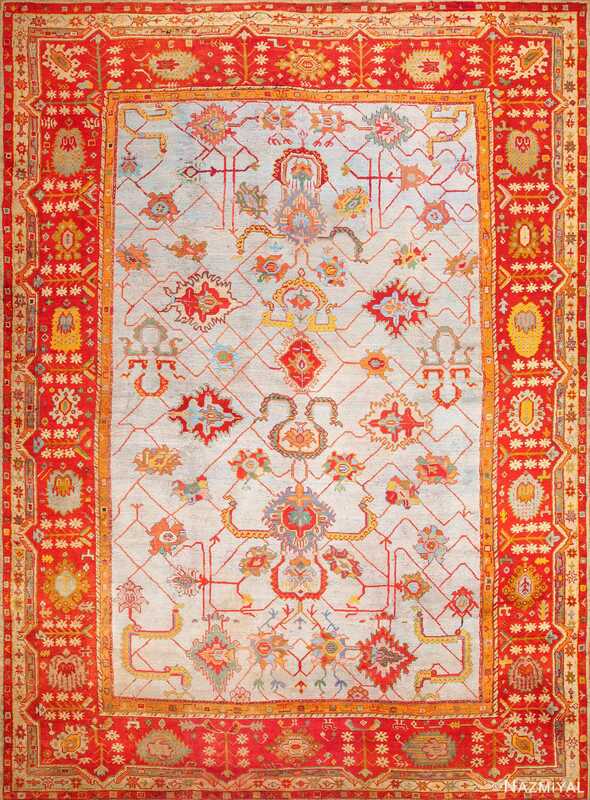 Arts and Crafts rugs were part of an international tradition that skillfully assimilated worldly influences and new ideas. 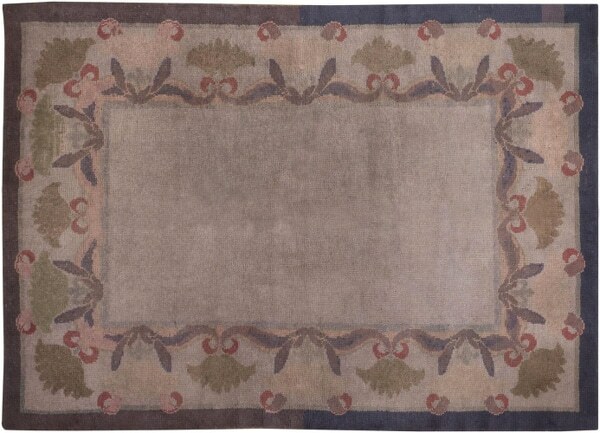 Sophisticated designs executed with great attention to detail have made these classically influenced carpets more desirable than ever. 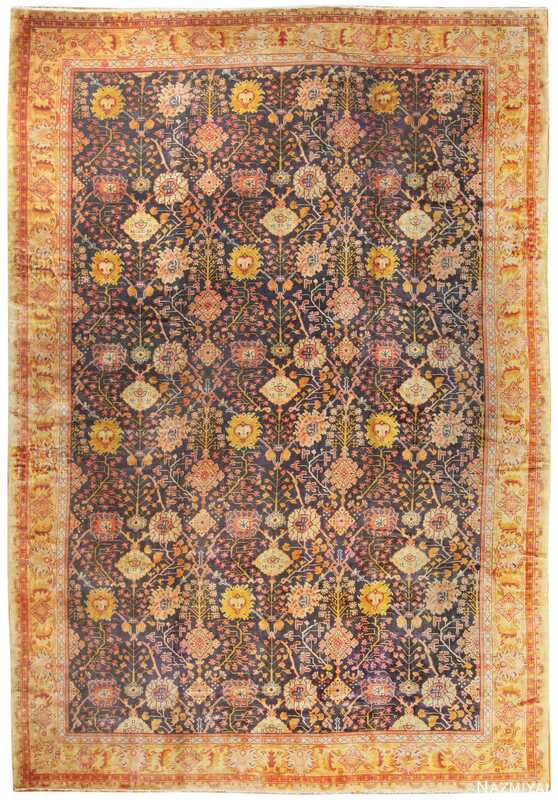 The Arts and Crafts movement marked an important philosophical change for artisans. This creative Renaissance was part of a rebellious offshoot that protested industrialism and rejected the stuffy, tedious motifs found in Victorian homes. The people and the ideas of this group were closely connected to the Pre-Raphaelites, the Craftsman-era makers and the pioneers of the Aesthetic Movement. 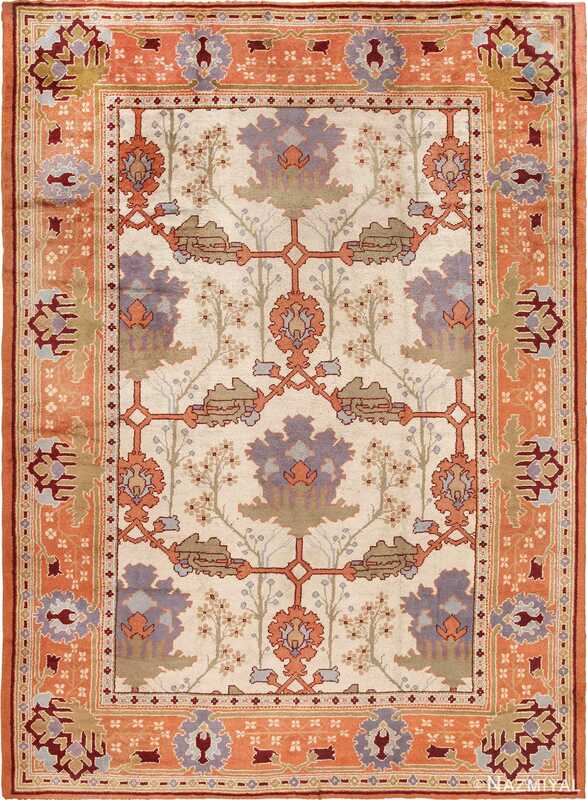 William Morris, the grandfather of the Pre-Raphaelites, designed some of the most memorable Hammersmith and Wilton rugs ever created in England, and according to many, spurred the competing industry in Donegal, Ireland, to advance rapidly. William Morris, C.F.A. 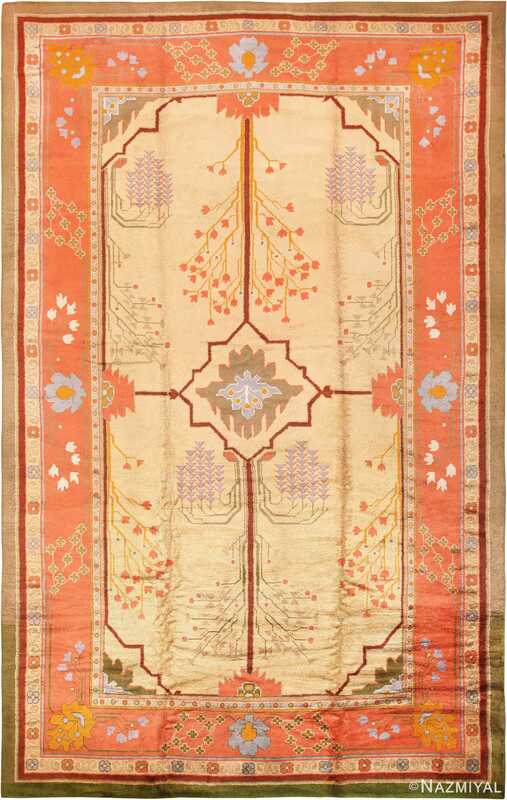 Voysey, Charles Mackintosh, Gustav Stickley and the Morton brothers had individual styles and strong stylistic beliefs that made Arts and Crafts rugs truly cutting edge. 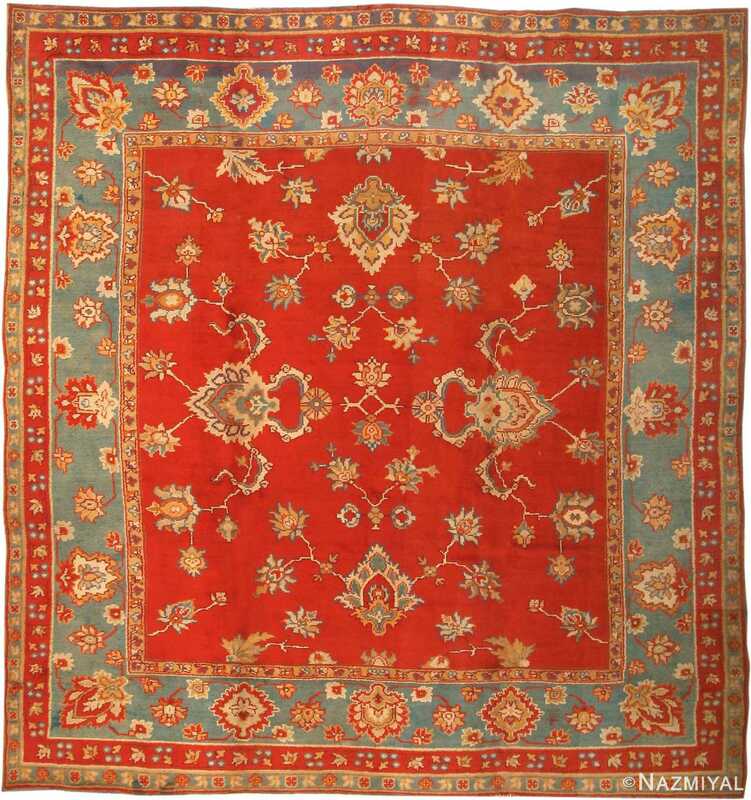 These beautifully varied antique oriental rugs and vintage rugs featured both rectilinear and curvilinear designs with increasingly broad color palettes. Anglo-Persian patterns, proto-modern compositions and flowing Art Nouveau designs were all represented in this marvelous niche that flourished between 1874 and 1940. 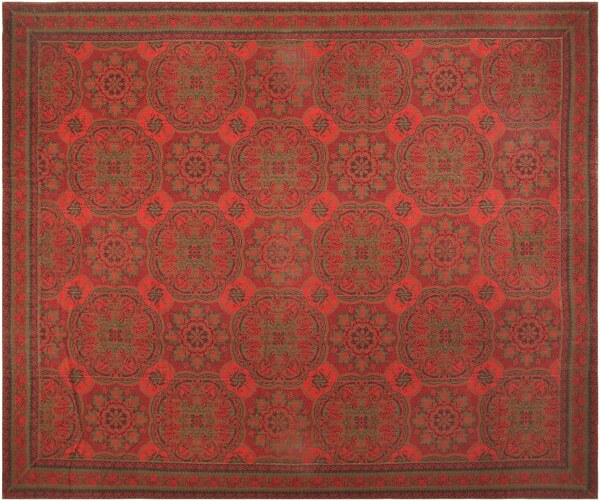 The history of antique rugs and carpets is as ancient as the history of art. To better understand this history, it is important to know that many major art movements occur in response to prevailing contemporary sensibilities. For instance, beginning in the late nineteenth century, Impressionism became an important and international art movement as more and more people embraced the aesthetics that it espoused. Rather than painting or sculpting in the then-prevailing style, which emphasized realism, the Impressionists created a movement that de-emphasized the hyper realistic, instead celebrating the general impressions and ideas that a scene might stir in an observer. Naturally, without the rigid aesthetic code that was followed by a majority of their contemporaries, the Impressionists would have had no movement to found; neither would the Post-Impressionists of the mid-twentieth century have had a movement to found had not the Impressionists themselves laid a groundwork. Thus, it is easy to view art history as a series of actions and reactions, of proposals and counter-proposals. Perhaps one of the most interesting and consequential such question-and-answer developments in the history of art concerns the founding of the Arts and Crafts movements during the latter decades of the nineteenth century. Much as the Impressionist movement began as a response to the conservative aesthetics and sensibilities of the Victorian era, so too was the Arts and Crafts movement born out of a society that had been transitioning away from artisanal, hand made works of art to mass-produced items – factory assembled pieces that were without soul or uniqueness of any kind. Seizing on the deep and growing sentiment among important artists and other creative professionals that this new way of industrial manufacturing should not become the dominant force in the world of art, a few individuals began the Arts and Crafts movement. Associating themselves with the popular pre-Raphaelites, who were also committed to returning to an earlier and more natural – some would be inclined to say more pure – aesthetic ideal, the pioneers of the Arts and Crafts movement emphasized the importance of artistry and craftsmanship. Among the leaders of this movement: William Morris, a visionary thinker who exercised a great deal of influence in the art world of the time. 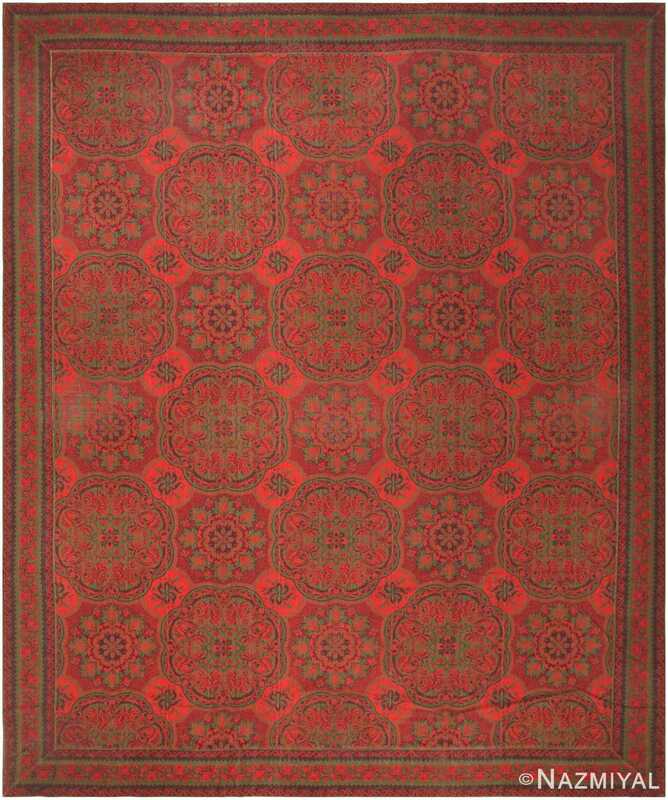 An English artist, Morris was influential in the development of Donegal rugs and carpets in Ireland. In addition to Morris, figures such as CFA Voysey, Gustav Stickley, Charles Mackintosh and others exercised influence on the nascent Arts and Crafts movement, growing it into an important movement in the world of art with long-lasting and wide-ranging ramifications. 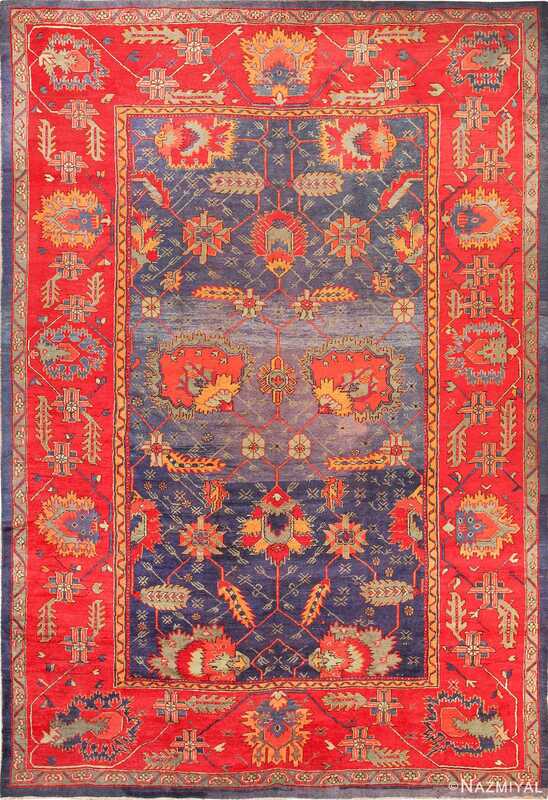 The rugs and carpets produced in the Arts and Crafts school are hugely varied in regards to rug patterns and designs: rectilinear and curvilinear designs are both common, and an enormously wide range of color pallets was utilized by the practitioners of Arts and Crafts. 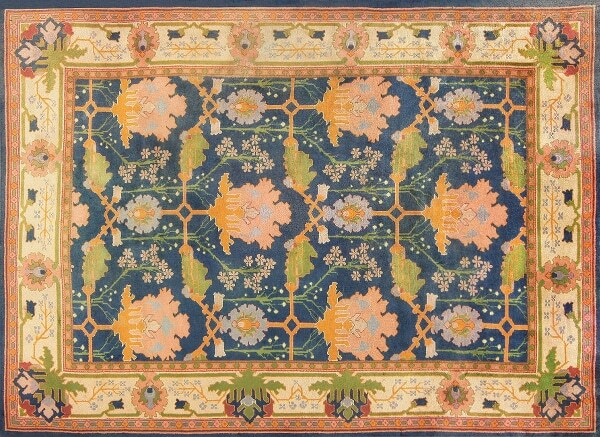 Between 1874 and 1940, a huge body of unique and exciting material was created in the name of the Arts and Crafts movement, with each piece being unified by a single characteristic: every work of art that is truly part of the Arts and Crafts tradition celebrated the virtues of good design and careful craftsmanship; there is no one aesthetic that unifies this body of work, but the virtues of crafting something by hand and creating something unique are ideals that exist in the very fabric of the Arts and Crafts movement. 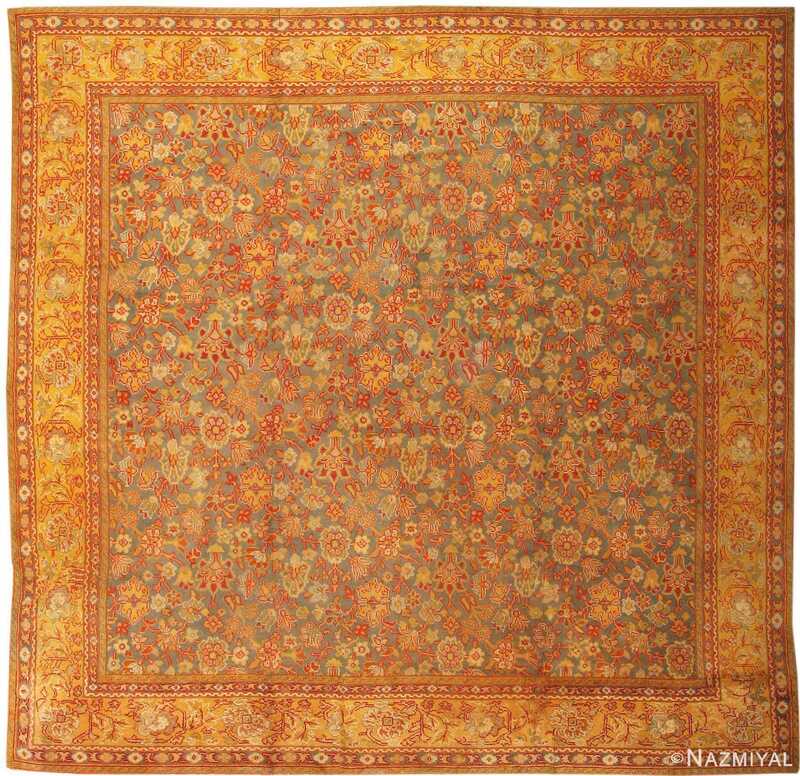 Radiant floral medallions arranged in a kaleidoscopic repeating pattern adorn this magnificent antique American Arts and Crafts carpet and create a dazzling visage. 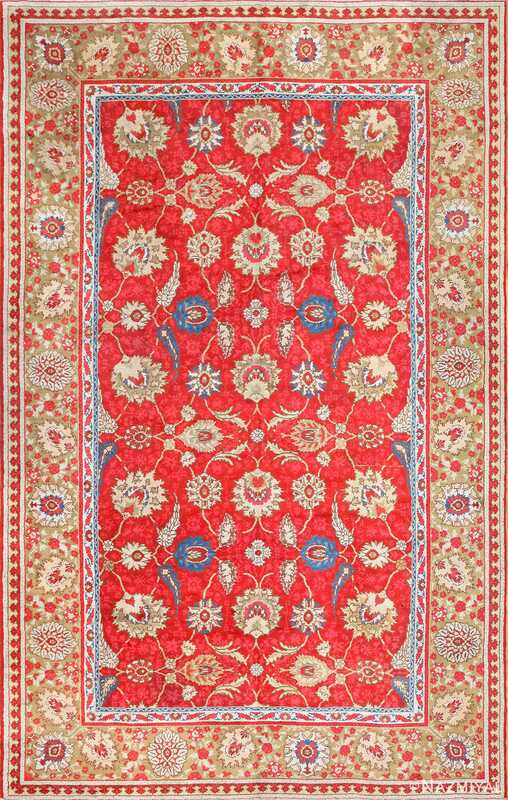 This elegant and richly decorative antique Irish carpet as a classical antique Oushak Turkish carpet design of palmettes and cloud band vine scrolls. 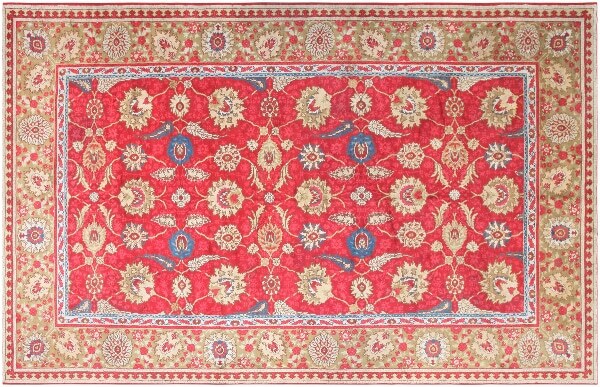 This charming antique square size English Axminster carpet displays an eclectic blend of Persian rug design with the taste and color sensibility of the English Arts and Crafts Movement.